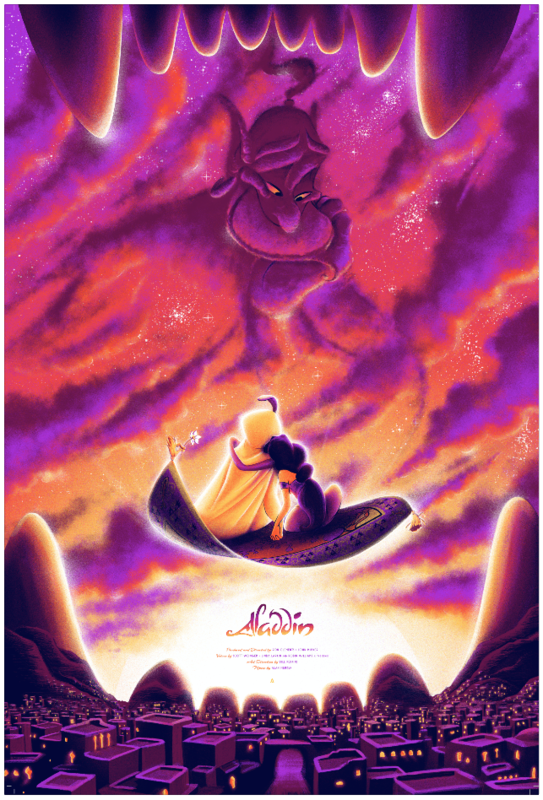 Disney’s 31st animated feature, 1992’s “Aladdin,” still manages to put smiles on fans faces some 25 years later. 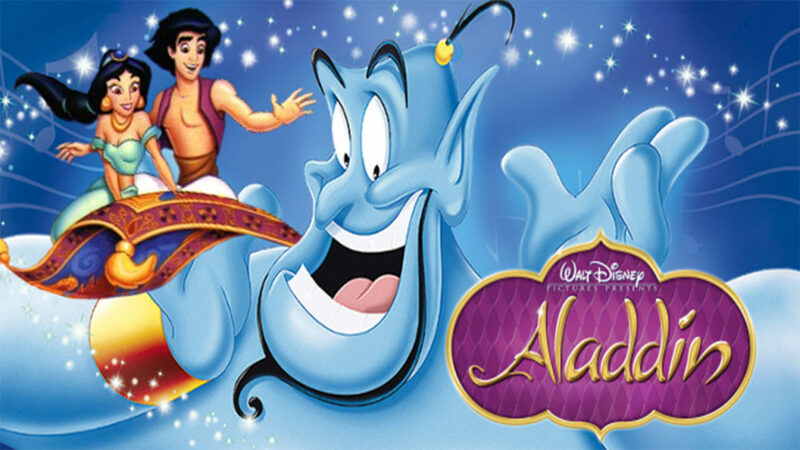 Winning two Academy Awards (and several others) it features the considerable voice talents of Gilbert Godfried, and the sensational Robin Williams. Tom Miatke recently revealed a private commission where a client asked for him to re-imagine a poster for the film and we are VERY jealous of the lucky recipient. Here is a look at Tom’s colorful creation and don’t even ask, it’s already spoken for.